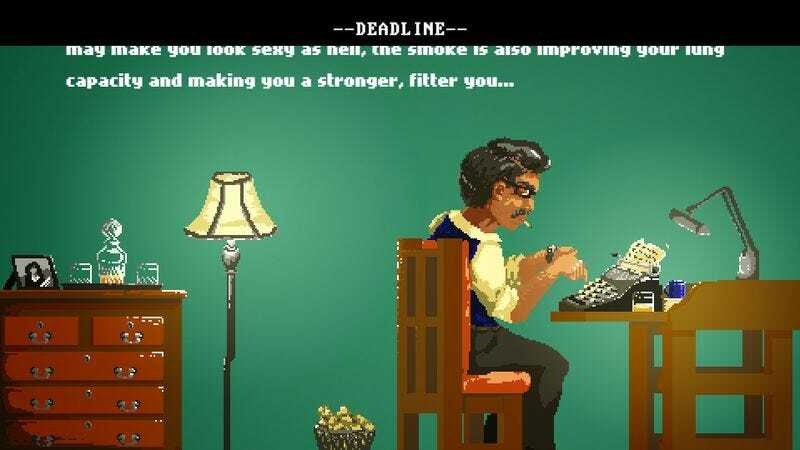 The Coop Times, a recently published browser game by Adam Carr and Linebreak Collective, has effectively demolished the barrier between journalists and civilians by shedding a harsh light on the truths of the journalistic process. The game pitches its players a story (Giant bar brawl! Ice Cream man assaulted by children! Smoking is good for you! ), which they must then write at least five insightful, thought provoking lines about while racing an ever approaching deadline. And, since no self respecting writer would ever compose their hastily assembled masterpiece on anything but the oldest, most bespoke possible typewriter, it’s impossible to go back and edit your work. If the deadline catches up to you then it’s game over and your story is scrapped. If you do manage to get those five lines in then, much like any other desperate newspaper, your story about the wonders of narwhal horns will be immortalized in the prestigious Coop Times. Get to writing here.